"Even as I shook my head at the film’s visual and auditory mishmash, I found myself wholeheartedly enjoying Kumiko. Its technical randomness cannot undermine the strength of the story’s premise and its execution." A chorus of Japanese children repeat a simple, crisp melody that lingers in the mind for days. An oddly energized man screams, as if in pain, at random intervals. This piece of music, The Yamasukis by The Yamasukis, furnishes the end credits of Kumiko: The Treasure Hunter, which first screened at the 2014 Sundance Festival. While the piece played a negligible role in the film, I found that my reactions toward it paralleled those I had toward the film preceding it. David and Nathan Zellner’s film begins in Tokyo, Japan, where a depressed Kumiko (Rinky Kikuchi) takes on a stifling daily routine, always one step removed from the bustle and glamour of the city. Other than an unprepossessing rabbit named Bunzo, the twenty-seven-year-old has little going for her. With her dead-end job as a judgemental geezer’s “office lady” and controlling mother – who insists she move back home, or get married, or get a promotion – her catatonia seems a natural outcome. Yet Kumiko’s quixotic character contrasts with her suffocating circumstances. After discovering the 1996 film Fargo, Kumiko becomes convinced that a prop suitcase full of money buried in the film is, in reality, sitting untouched in fresh snow in Fargo, North Dakota. In her oversized red coat she leaves Tokyo (and Bunzo) and embarks on a solo expedition to claim her treasure. Borrowing from the sparse, photographic visual language of Japanese cinema and awkwardly intertwining the landscapes of Tokyo and North Dakota, Kumiko seems to take place in a universe removed from our familiar, everyday world. While the film is a daring undertaking, the Zellner brothers’ work is technically incoherent. Kumiko’s camerawork is visually venturesome but unmotivated. Some shots are works of art in their own right, including a point-of-view shot taken from a glass elevator, tracing the elevator’s descent past tableaus of loungers, readers and chatters. Some shots are arresting, including an ominous shot of a motionless, shapeless Kumiko against a barren, mountainous background. These well-executed shots add whimsicality to the film but vary in style, distracting from the film’s storyline. In a painting, it is crucial that different colours borrow bits of one another so as to blend their tones and increase coherence. Like an enthused but amateur painting, Kumiko’s cinematography lacks a visual theme. Kumiko’s soundtrack contributes to this disjointed feel. Composed by electronic trio The Octopus Project, it comprises airy, ambient percussive instrumentals that come to the forefront in certain scenes, ostensibly to reflect Kumiko’s inner gloom. While certainly atmospheric, Kumiko’s soundtrack frequently plays a darker tune than the events onscreen do. But even as I shook my head at the film’s visual and auditory mishmash, I found myself wholeheartedly enjoying Kumiko. Just as the deliberate absurdity of The Yamasukis does not stop it from making me feel, Kumiko’s technical randomness cannot undermine the strength of the story’s premise and its execution. Kumiko’s premise reflects a dream. Fittingly, the Zellners construct a world in a vacuum, withholding information relevant to the story. For example, the homemade map that leads Kumiko to her first Fargo cassette comes from events that occur before the film’s storyline, suggesting that there is more to her story than meets the eye. Kumiko also does not delve into Kumiko’s backstory, obscuring the reasons for her fall into depression. And rightly so – Kumiko herself seems to be either consciously or unconsciously uninterested in these details, just as we should be. 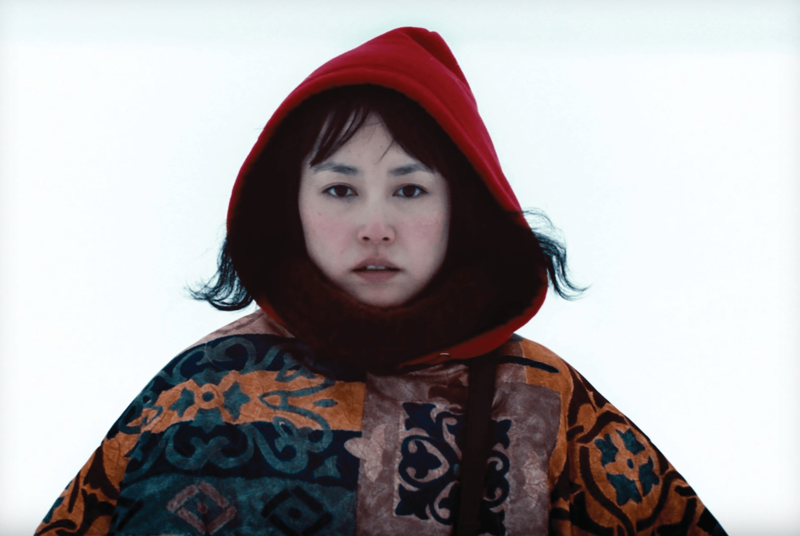 The film’s storyline straddles the line between dream and nightmare, reflecting the difficulty of Kumiko’s questionable quest. She is plunged into desperate situations, but the screenplay remains darkly humorous and our heroine remains adventurous. We are left to make our own conclusions about her mental state. Kumiko speaks to an adventurous part of me that feeds upon child-like imagination instead of the complicated world of adults. While the film’s premise is based on the urban legend of Japanese office worker Takako Kinishi, the Zellner brothers have spun this inspiration into an art film that is significantly deeper and more thought-provoking than the legend. While Kumiko: The Treasure Hunter’s merits are limited to the story level, it is a worthy work of art that evokes an oft-untouched realm of emotion and reflection.